The online statistics portal Statista mentioned that annual sales of retail industry in the U.S. were 3.19 trillion U.S. dollars in 2014 which was 0.11 trillion dollars higher than 2013. And this growing industry requires the support of call center outsourcing vendors to make sure that the business runs smoothly. Online shopping is also all the rage among consumersin present smartphone era. This has resulted in online retail sector to grow leaps and bounds across the globe. In fact, as per Statista, the e commerce industry sales in the U.S. will reach up to 491.5 billion U.S. dollars by 2018. In order to scale up the business, the online shopping firms are also looking forward to outsource the call center process for managing customer support. Soon, the world will witness the exponential rise of call center services for e-commerce industries. Let’s keep a look at various benefits which reinforce the importance of call centers in retail sector (both offline and online). Order taking is one of the most crucial steps for any retail company. Quite often, the company is unable to handle this specific process due to lack of right people and other resources. So, hiring a retail call center service becomes necessary to ensure that all the information of customers while placing the order is recorded correctly by professional call center agents. Today’s customer is not dependent only on calling for any query related to product. They want their queries to be solved instantly through the use of their computer systems. So, retailers can make sure that by offering online chat support, they can make the shopping experience of the customers quite pleasant. Several customers prefer emailing the issues related to product purchased from an online retail store. So, it becomes mandatory to provide a manual response (and not automated) to the mail as it gives more satisfaction to the customers. And the workforce of companies providing retail call center services are well versed in handling the customer communication through mail. A customer can call a retailer anytime for booking an order or clarifying his doubts. He does not care if your company operates only nine to five on weekdays. This puts a light on importance of call centers which operate 24 x 7 so that customers can call them whenever they are comfortable. This also acts as an essential method to raise the sales big time. Putting a call center in-house by a retailer can result in divergence from the core activities. This results in stagnant growth of retail business. Taking support of external agencies can indeed free the retailers from the responsibility of managing customer support process. As a result, retailers can put their heart in enhancing the quality and size of their core activities. It is said that a tasks suits only in the hands of the proficient ones. And the retailers are more proficient in managing activities like warehouse management, procurement, marketing and sales etc. Handling call center process efficiently may be a hard row to hoe for them. If we talk about the employees in call center companies, these species have years of experience in customer support. As a result, handling customers becomes a piece of cake for them. The retailers can exploit this knowledge and experience of call center agents by contracting out customer care process to a renowned company. For setting up an in-house call center, the company needs to implement lot of resources which can infect the budget of the retailers. For example – Hiring, training and management of customer support executives is never an economical process. Also, extra space is required for installing the whole call center process. The hardware, software and furniture also cost handsome amount of money to the retail store owners. The combined cost of all these resources is bound to give nightmare to retailers. So, hiring a call center vendor for customer support process saves the retailers from heavy pocket damages. The sales in the retail sector are like roller-coaster ride. There are ups and downs at different phases of the year. 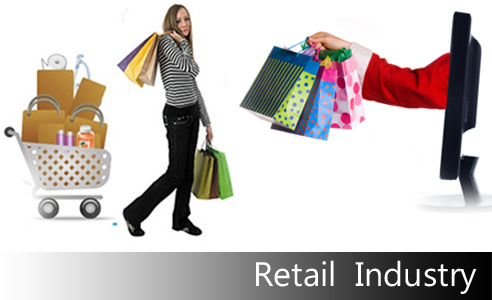 Holidays and special shopping days are the time when sales are at their maximum heights. For example, Cyber Monday observed record sales in a day in 2014. And in these holiday seasons, the company needs someone to handle countless calls related to queries of the customer. This is where the call center companies act as blessing for the retailers. As a whole, taking support of call center vendors can indeed act a portal for retailers to expand their clout in retail industry.